MATRIX produces regular in depth reports which outline the work, findings and recommendations of the HORIZON Panels. These reports are an invaluable resource for anyone interested in how new technologies and market opportunities can be developed within the Northern Ireland economy and beyond. The recommendations in our reports have influenced the development of the Programme for Government, the Economic Strategy for Northern Ireland, the Innovation Strategy for Northern Ireland and the Department of Employment and Learning’s approach to future skills provision. The 2016 AMME report was produced by a panel of experts selected from industry, government and academia and chaired by Dr. Rob Hardeman, Vice Chair of the MATRIX panel. The AMME sector is export and R&D intensive and includes sectors such as aerospace, polymers and materials handling as well as some highly specialist companies – all with a focus on advanced manufacturing, materials and engineering. There are over 2,000 such businesses in Northern Ireland, employing over 40,000 people, paying salaries 26% above the NI average and generating sales worth £7.2bn in 2014. The sector creates a high demand for skilled workers, particularly those with STEM qualifications. Northern Ireland has a strong manufacturing heritage and there is still a higher concentration of manufacturing businesses here than in the UK as a whole. During the economic downturn, the manufacturing industry in Northern Ireland kept on track better than other UK regions. For example, since the 2012 recession the NI manufacturing sector has created 6,500 new jobs – nearly three times the UK growth rate. The study drew on insights from AMME business leaders, academic partners, representative associations and government bodies, both locally and nationally. This, combined with the use of data from a wide range of sources, revealed a surprisingly high level of sustained R&D activity and export achievement. The study revealed several diverse subsectors – aerospace, polymers, materials handling, agri engineering, automotive and construction products – as well as a significant number (around a third of the top 300 companies) which are highly specialized individual companies. But despite the diversity, when these companies were asked what mattered most to them, there were three consistent themes – skills, costs and sectoral development. Businesses exist to serve shareholders and staff. However, can businesses add value to society and their local communities? A report by Roger Warnock. 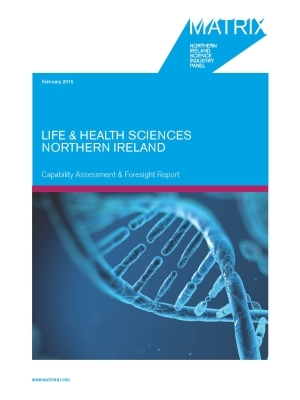 This report identifies four areas – software engineering, advanced networks and sensors, data analytics and cyber security – where Northern Ireland has potentially world class strength. This 2015 report mapped areas of global demand alongside areas of strength to identify five areas of overlap – oncology, respiratory, cardiology, vision and diabetes. This research report is about how social innovation can be harnessed to benefit the Northern Ireland economy as well as its expected goal of social impact. This study provides an insight into the level of awareness amongst indigenous MATRIX industry-based businesses of their Intellectual Capital. This report identifies the commercial opportunities likely to grow significantly in the coming decades as worldwide demand for lower-carbon technologies increases. This report finds that major advances have been achieved in telecommunications provision in Northern Ireland and places it among the leading regions in terms of international standards. 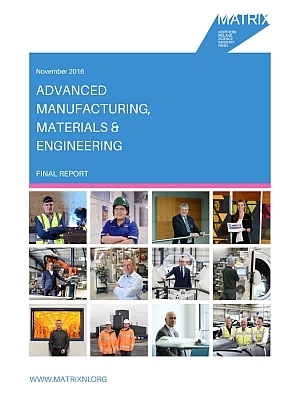 This report identified five focus areas in advanced materials where NI has the potential to make advances that would have high commercial impact . MATRIX conducted a study into the use of public procurement as an instrument to find and implement innovative solutions to issues faced by the public sector. Two distinct market opportunities have been identified by the life & health sciences panel – personalised medicine and homebased care. This report recommends the creation of an ‘eco-system’ for the ICT sector whereby Northern Ireland can collaborate in focus areas to create an evolving knowledge-based specialist sector. This report provides the basis for Northern Ireland to achieve specialised global leadership in its quest to secure a safe, clean and healthy future for the industry and our society as a whole. This report identifies the means by which Northern Ireland can reclaim its position as a global leader in engineering, with specific focus on transport. Our first report highlights the need to create and maintain a new working environment for business, government and academia where they can combine their resources in a market led approach to innovation.